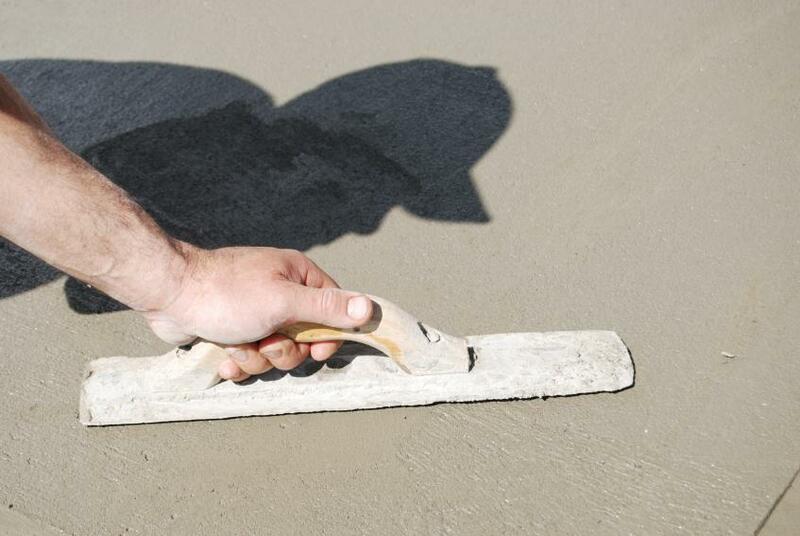 Where do you need a Licensed Concreter? Concrete is everywhere. Without it, the world as we know it would not exist. It is used so extensively, we tend to take it for granted and assume our concrete piers, foundations and walls will last forever. There's more to concrete than meets the eye, though, and the skills of a concreter go beyond the ability to mix and pour or apply concrete. Without Australian standards and concreting licensing requirements, we wouldn't be able to trust our foundations to withstand the test of time or our skyscrapers not crumble and fall. Standards exist to ensure consistently high standards of concrete construction techniques are adhered to and trade licensing ensures concreting professionals know everything they need to know to create safe and sound concrete constructions. As is true of other trades, concreters are licensed on a state-by-state basis. In order to ensure all concreters adhere to nationally recognised standards, similar training and experience is required in every state before a concreting licence is issued. Licensing policies differ between the states. Scroll down to find out more about licensing of concreters in your state or territory. Is the concreting job of structural importance? Is the concrete work minor or decorative only? If structural integrity is important, a concreting licence may be required. If a concreter engages in a specific type of concrete work, such as swimming pools only, they may require a restricted or specialised licence. The only time a trade licence may not be required for concrete work is if the work is minor or decorative only. Excavation work needed to prepare a surface for laying or placing concrete. Exceptions include excavation work that threatens the stability of a structure or neighbouring structure and the building of concrete retaining walls that require approval as "structural landscaping." Other trade licences are required for these activities, though a licensed concreter will often work under the supervision of a builder, landscape architect or structural engineer to carry out these jobs. You are required by law to hire licensed tradies for work valued at $1,000 or more in New South Wales. The Victorian Building Commission (VBC) is in charge of registering building practitioners, including concreters, in the state of Victoria. The VBC includes concreters whose activities are limited to residential construction under the broad umbrella of "Domestic builder." A variety of domestic builder licences are available. If concreting is their principal occupation, your concreter will probably hold a Domestic Builder - Limited (DB-L-B) registration card, which entitles them to carry out general concreting work. Other codes that might apply to concreting include DB-L-O (floor slabs and footings), DB-L-S (swimming pools) or DB-L-U (structural landscaping). In Victoria, you are required by law to hire only registered building practitioners for any domestic work valued at over $5,000. For work exceeding $12,000, your building practitioner must also hold domestic building insurance. These rules were put in place to protect consumers from hiring unqualified tradies. If your job costs less than $5,000, your concreter's DB-L-B licence is still your assurance that they are a qualified professional. Concreting, including the installation of formwork, concrete reinforcement and concrete. Incidental work of another class. Because concreting includes "incidental work of another class," many tradespersons in Queensland have concreting licences in addition to the licence they hold for their primary occupation. In order to qualify for a concreting licence, the applicant must successfully complete an approved course of instruction and have two years of experience in the licence class of work they are applying for or two years equivalent work. If your concreting professional advertises their services, enters into a contract with you and/or supervises the work of others, they will need to have a Contractor's Licence. If they are working on behalf of a company, they will need to hold a Nominee Supervisor licence. If a concreter is an employee of a contractor, they will need to hold a Site Supervisor licence. By law, you must hire a licensed concreter to carry out any concreting work valued at over $3,300 (labour and materials) in Queensland, but it is always advisable to hire only licensed tradies for concrete work. When hiring a concreter in South Australia, make sure their licence authorises them to carry out the specific type of work you require. Their "scope of work" classifications prove they have received the necessary training and have enough experience to competently complete the job for you. The concreter you contract to do the work should have a Contractor's Licence and a Supervisor's Licence. Anyone supervising other workers on your site or carrying out the work on their own must have a Supervisor's Licence. A Building Practitioner is authorised to carry out building works or be nominated as a nominated building supervisor for a Building Contractor. A Building Contractor is authorised to enter into contracts, appoint nominated supervisors and hire subcontractors. While some residential concreting jobs may not require your concreter to hold a Building Practitioner’s or Contractor’s licence, their licence is your best assurance they have the proper training needed to do their work to Australian standards. The Department of Justice governs building work in Tasmania. Although a licence is not required, building practitioners in Tasmania must receive accreditation from the Department of Justice. In order to receive accreditation, a builder must list their qualifications and provide evidence they are qualified to carry out the specific types of construction they are applying for. Related trade association membership, such as membership in the Concrete Institute of Australia (CIA). Any structural concreting work, including slabs and footings, must be carried out by or under the supervision of an accredited building practitioner. For non-structural or decorative work, look for a concreting specialist who has a track record of excellence in the type of work you need to have done. In the ACT, the ACT Planning and Land Authority (ACTPLA) issues builder’s licences. One of four classes of licence may apply to a concreter. A Class A Builder (unlimited) can perform all types of building work other than specialist building work or work that involves handling asbestos. A Class B Builder (medium rise) is restricted to work on buildings 3 storeys or lower in height and cannot do specialist building work or handle asbestos. A Class C Builder (low rise) can carry out work on structures 2 storeys or lower and cannot do specialist work or work involving the handling of asbestos. Class C builders also are limited to building work on a restricted number of residential building classes and non-habitable structures such as garages, carports and sheds. As with Class A and B builders, they cannot do specialist building work or work that involves the handling of asbestos. Class D Builders can do non-structural building work only and cannot handle asbestos or do specialised building work. If your job does not require the additional skills of a Class A, B or C Builder, they will probably hold a Class D licence. This classification also usually comes with additional conditions, restrictions and endorsements. Restrictions will include jobs they are not qualified to carry out while endorsements will include special services they are qualified for. Building retaining walls associated with the “actual structure” of a home or unit when the cost exceeds $12,000. Building Contractors can have either Restricted or Unrestricted licences. A contractor is not needed for renovations that do not increase the interior floor space of a building. In the Northern Territory, many types of concreting jobs do not require supervision by registered Building Contractors. However, reputable concreters will have completed a formal apprenticeship and have the skills you need for professional results that comply with relevant Australian standards.